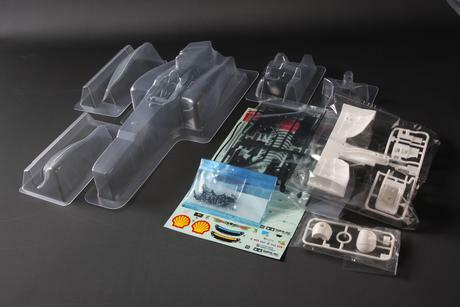 This is a complete body parts set of the Ferrari F2012. 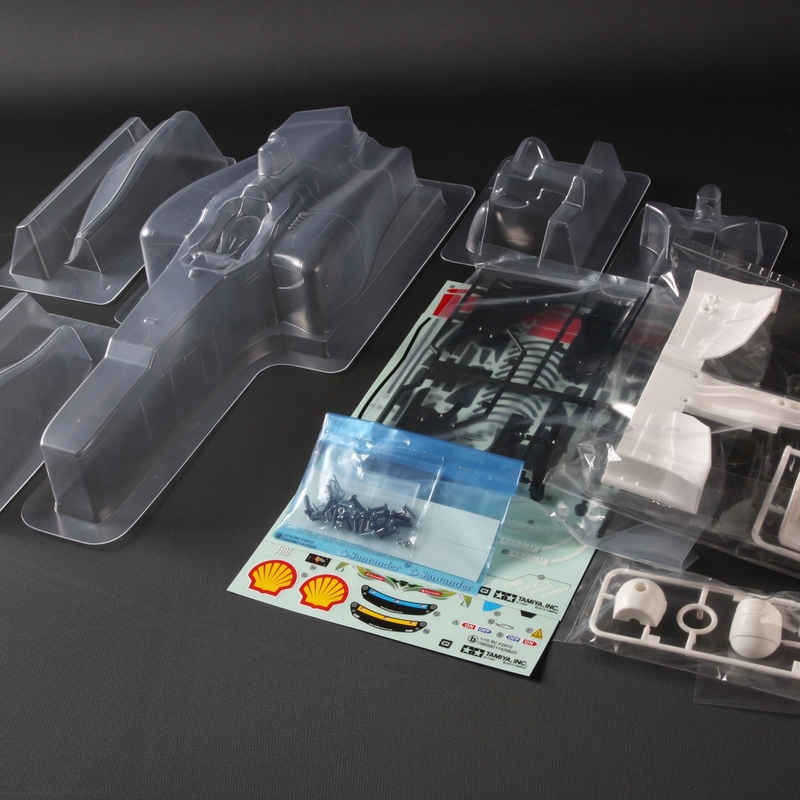 The body set comes complete with a clear body, vinyl stickers, and ABS plastic parts for wings and mirrors. Front and rear wings included. Sticker sheet and driver figure helmet included. Compatible with F104 chassis machines.